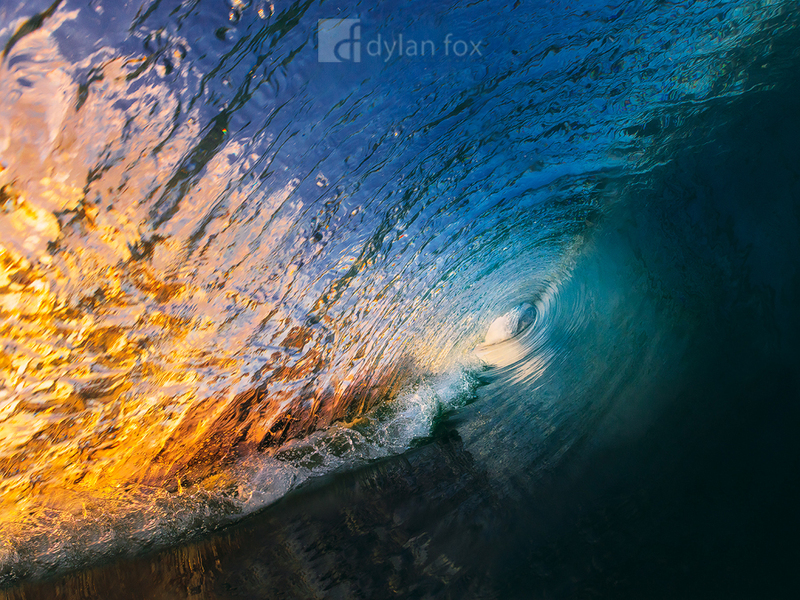 For a brief moment, the rising sun appeared and I managed to capture the colour of its first light from within a barreling wave at Scarborough Beach. After only a minute or so this light was gone as the sun disappeared behind stormy clouds. I wasn't in the water shooting long this particular morning but I did get very lucky with that moment of light and a very clean, hollow wave. Secure your limited edition, Scarborough Beach photograph, 'Fire & Ice', by selecting your desired print size in the menu to the right.